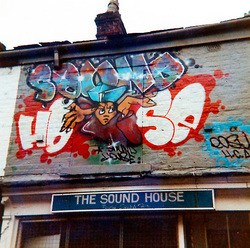 The shop was The Sound House. It used to be over near the Witchwood and moved in the Mercian in the early 90's. Back in the late Eighties I'd sneak out of school at dinner time on a Monday get the bus to Ashton to get the new releases and picture discs which they would only have a couple of. When it moved to a bigger shop in the Mercian I think it was under more pressure to survive and Andys Records moving in to Ashton killed it off. Comment selwood101.